Almost 2 million pieces of luggage are lost, stolen, or damaged by major U.S. airlines every single year just on domestic flights. This may sound alarming but consider this: Department of Transportation spokesman Bill Mosley says, “The rate of mishandled baggage reports filed by carriers is at an all-time low.” Do you wonder why? Because more and more people are using smart luggage and travel accessories that work with their smartphones. These smart accessories help travelers track their luggage to find the missing piece even when the airline has no clue where it ended up. What’s great about these accessories is the sheer range from which you can choose. 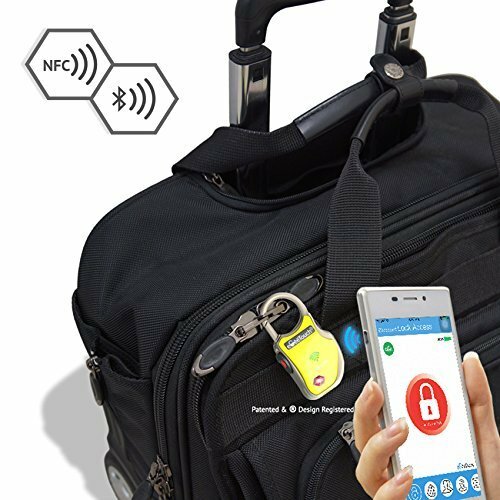 Do you want to go all-in and get a large smart suitcase or would you prefer to just increase the security of your luggage using smart padlocks that connect to your phone? Whatever the case is, this list of top 5 best smart luggage and travel accessories will help you find the right product for you. Everything about this piece of smart luggage is designed to make traveling more comfortable. 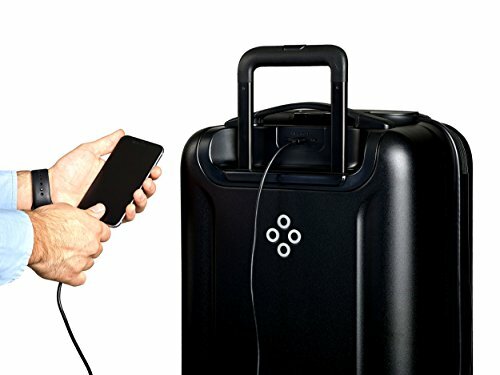 Collectively funded by 10,592 Indiegogo backers, the Bluesmart One is a cellular-connected suitcase with a built-in powerbank and an integrated scale. The experience starts even before you leave your house. As you pack the suitcase, you can use the built-in digital scale to check whether you’re not over the airline’s cabin weight limit just by picking the suitcase up by the handle. The total weight will immediately display on your smartphone so you know there’s still room for that one extra aloha shirt. When packed, you can use the integrated digital, TSA-approved lock to secure your suitcase. The lock can automatically alert you if it gets too far from you. 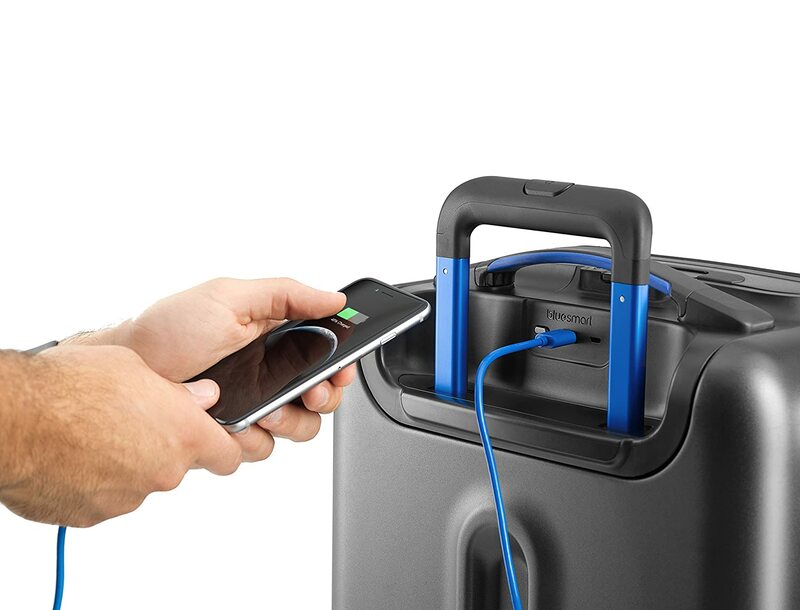 Located at the front of the suitcase is a special pocket with a USB charging port for electronic devices. The port draws power from the integrated powerbank, which can charge regular smartphones up to 6 times, allowing you to avoid overcrowded and often unreliable airport outlets. If you’re looking for a high-end smart luggage that’s just perfect for a 2- to 3-day trip, look no further. 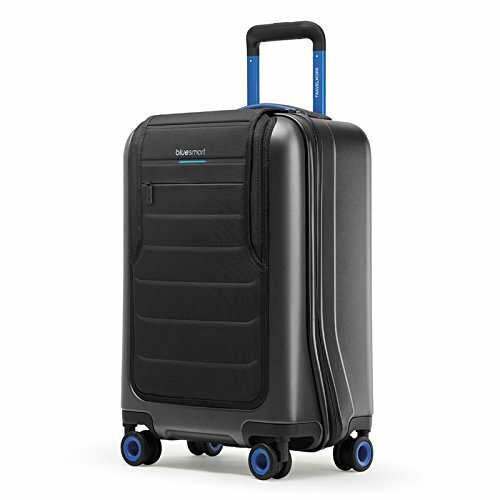 Bluesmart Balck Edition International Luggage meets international carry-on size requirements and features a scratch- and water-resistant double-coated Class A Makrolon material that provides excellent protection for your electronic devices and other belongings. Using the suitcase’s location tracker, you can look up its exact location anywhere in the world—no subscription required. The suitcase also shares all features that you find on the company’s more affordable model, Bluesmart one. They include an integrated battery charger, a digital lock, and an easily accessible front pouch for electronic devices. Bluesmart offers a full two-year warranty on all material and electronic defects—a nice reassurance given the rather steep price of the product. But judging by reviews from real owners of the suitcase, there’s nothing to be afraid of. Sometimes you don’t need to pack an entire suit and a smaller bag will do just fine, especially when it offers over 1,450 cubic inches of space thanks to smart inner and outer design. 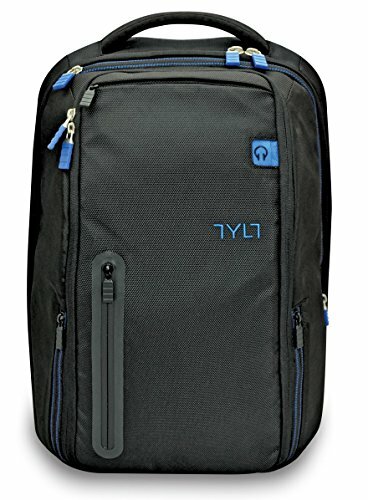 Tylt Energi Backpack has dedicated tablet and laptop compartments, a headphone pocket, and even a hydration sleeve that’s located on the side. The main thing that separates this backpack from ordinary backpacks is the 10,400mAh rechargeable Lithium Ion battery capable of providing up to 4 smartphone charges or 1 full tablet charge. You can draw power from the battery via 3 USB ports, one of them offering 2.1 amps of current for faster charging speeds. If you want, you can take out the battery from the back and use it as a portable powerbank. 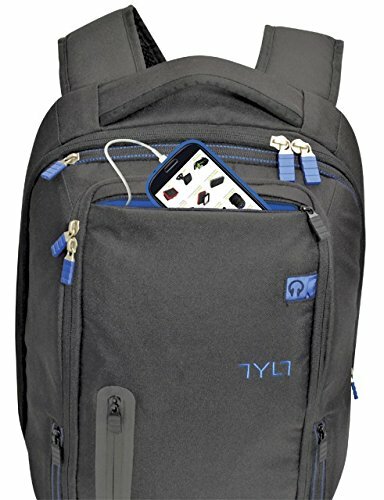 Tyly Energy Backpack has an integrated cable routing system, which makes it more convenient to charge all your electronic devices at once. Perhaps most importantly, the backpack is much more than a fancy, portable charging station; it’s an excellent bag in a of itself, with a trolley sleeve that lets you carry both your luggage and your backpack together. 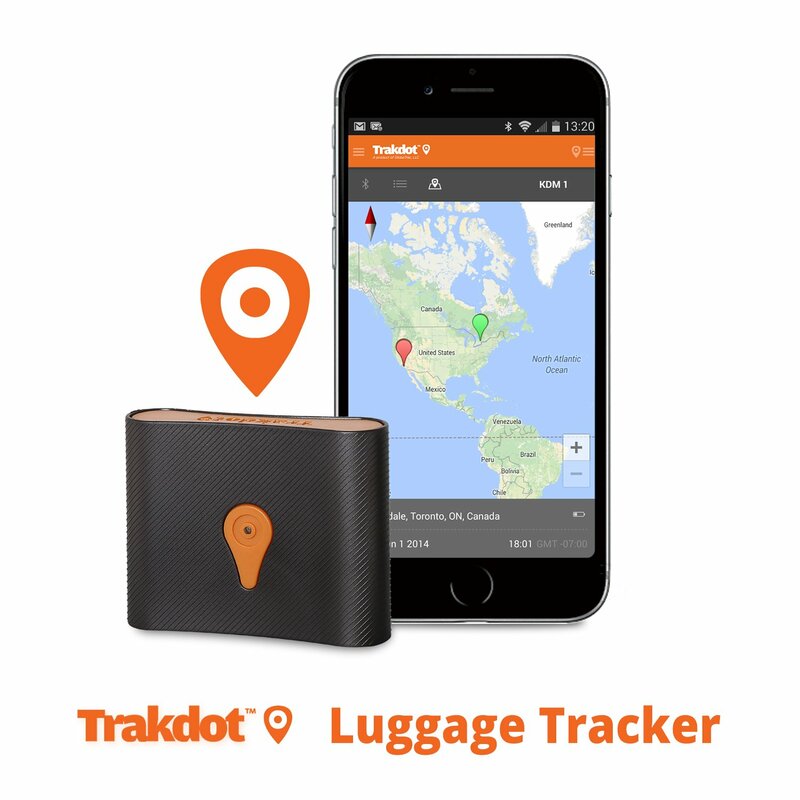 Trakdot Luggage Tracker uses a patented GSM based smart technology is both FCC Certified and FAA compliant to send real-time notifications to your smartphone about the whereabouts of your luggage. It can accurately locate suitcases, backpacks, and even cars no matter whether they are on the ground or up in the air. The packaging includes the tracking device, two AA batteries, a pre-activated worldwide SIM card, a quick start guide, and a 2-year warranty. The only thing you might not like is the $24.99 annual service fee, which you have to pay on top of the cost of the tracker itself. 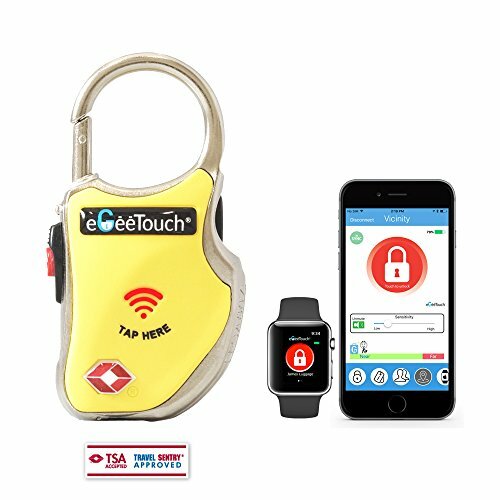 eGeeTouch Smart Travel Padlock conveniently combines location tracking with a TSA-accepted padlock technology which requires no keys, no digit-wheels, and no code memorization. Everything is controlled through the eGeeTouch Manager app. The app gives you a choice of multiple access methods and lets you control additional eGeeTouch smart padlocks from a single dashboard. 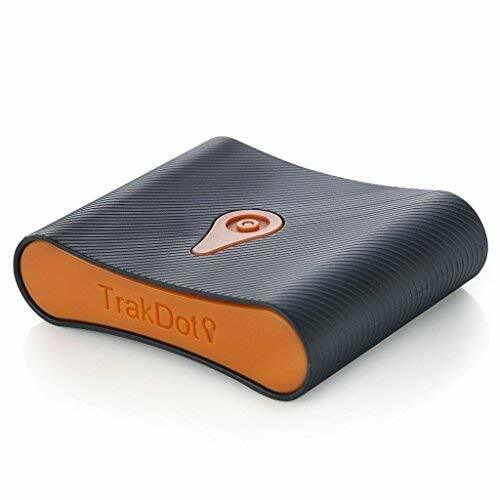 Whether you should buy a Trakdot Luggage Tracker or a eGeeTouch Smart Travel Padlock depends mostly on how important location-tracking is to you. If you want to know exactly where your luggage is and are a frequent traveler, those $24.99 every year that you have to pay for a Trakdot Luggage Tracker subscription can go a long way.